The aim of Christian Flat Earth Ministry is to reveal the truth about the flat earth and our surroundings. 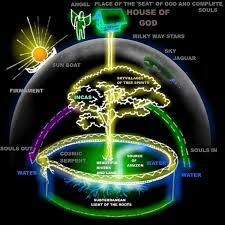 Then show the verses in the Bible that relate to the earth, sun, moon and stars. There are other flat earth websites, videos and chat rooms but most of them tell very little about how the flat earth is related to the Bible. With Christian Flat Earth Ministry, we plan to change all that. Once people know and accept that the earth is stationary and flat. And that the sun revolves around the earth, and that heaven is literally above the firmament of the earth, it should make people realize that there is a personal God, a God of the Bible who does care and look out for us. From knowing about the flat earth, we pray that you will question other things that the government, educational system and media tells us. With that in mind, we hope that you continue your quest for the truth. May Yahweh bless and keep you.